"I loved the experience as it is something that I enjoy because I play soccer with the college." What made you choose Waterford? 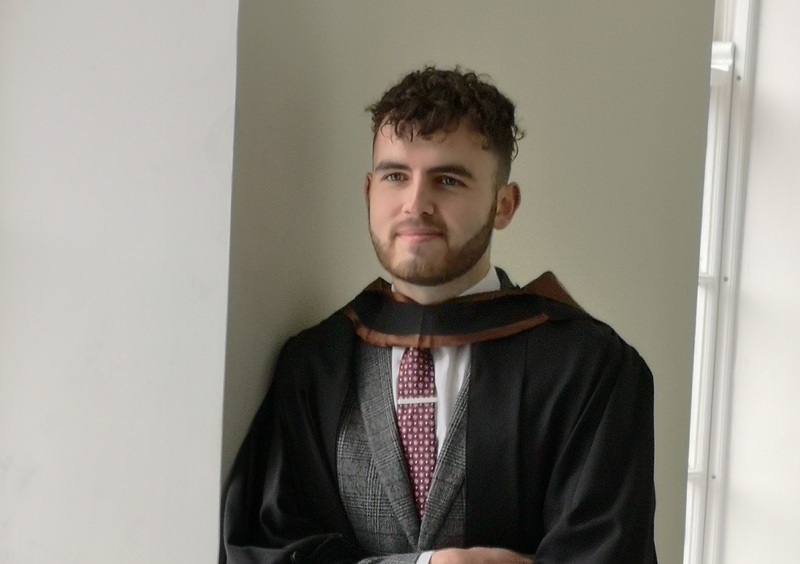 A big factor in my decision to go to Waterford IT, and to enrol in BA (Hons) in International Business was the opportunity to go aboard for my third year. I saw this as an opportunity gain invaluable experience in a sector I wished to pursue. I toyed with the thoughts of going to an MLS club, getting in touch with a few in the process. The MLS is the crème de la crème of Fan Engagement, teams stateside have built massive fanbases and cultural followings in an incredible short space of time, Atlanta United being a prime example. In the end I secured an Internship with Huddersfield Town A.F.C in their Marketing and Communications department. At the time the club was in the process of an incredible transitional period. This transitional period transformed into a promotion winning season which saw the club reach the Premier League. The freedom and guidance Waterford IT provided me while seeking my placement allowed me to gain employment in a sector that I was thoroughly enjoy. This placement year proved vital once I graduated as I was employed as Digital Fan Engagement Executive at Sheffield United Football Club the month after my final exams. How did you find playing soccer in the college? Playing with the college was a really enjoyable experience, in First Year we won the All-Ireland Futsal Final. We then went on to represent Ireland at the EUSA European University Futsal Championship in Poznan Poland, which was amazing. Playing sport in University makes that transition from secondary to third level much easier. It opens some many doors in terms of meeting new people and gaining new experiences. A lot of the lads I played with are still involved in the game with the likes of Hibernian FC, Waterford FC and Wexford FC. The coaching and facilities at WIT are great, training and playing some of games on the 4G/3G pitch gave us a real advantage when playing at home. I would encourage anyone coming into to first year to take up Football at WIT as it allows you to test yourself against some of the best from around the country.